The first congressional hearings begins next in the case of the Boston Marathon bombing, the National Journal reports. The House Homeland Security plans to examine the attack and federal law enforcement response. Committee Chairman Michael McCaul, R-Texas, said the investigation also focuses on the potential security breakdown among agencies, the National Journal wrote. The Senate also is investigating. 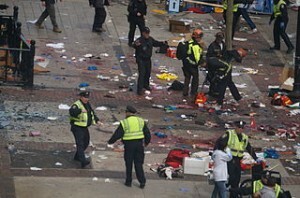 “It is critical that we conduct a proper examination of the actions of the federal government, including the Department of Homeland Security, and its interactions with state and local government partners, so that we as a nation are better able to anticipate, prevent, or if necessary respond to, the next terrorist threat,” the Senate Homeland Security Committee leaders said in a statement. Posted: 5/1/13 at 10:37 AM under News Story.